I sent a letter via snail mail to a friend of mine this week. His name is Ernie Houdashell. He is a devoted Republican Party elected official. He serves as Randall County, Texas, judge. Houdashell is as devoted a partisan as anyone I know. 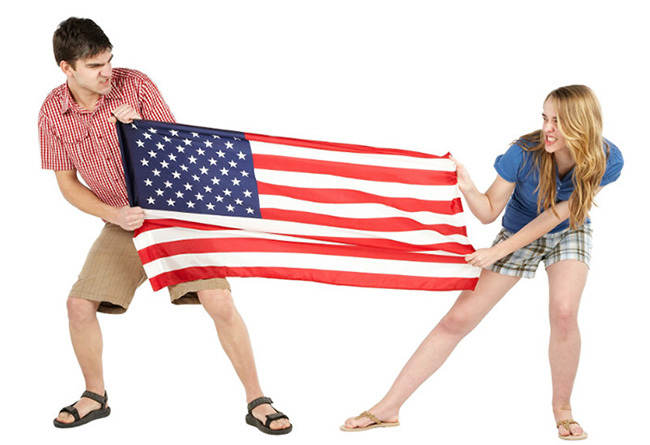 He and I differ fundamentally on politics. We’ve actually argued a time or two over the years, particularly since my departure from the Amarillo Globe-News in August 2012. But here’s the deal: He and I remain friends. I have great respect for this good man. I wrote him a note just to give him an update on where my wife and I have relocated. He’ll likely have received the letter, and I hope he takes to heart the way I ended it. I told him I am “proud” that he and I have maintained our friendship. Why am I mentioning this? Because I want to illustrate how easy it can be for people with vastly different philosophical outlooks to retain their personal affection for each other. They can be friends, just as Ernie and I are friends. I believe in my heart that my friend feels the same way I do. We hear too much these days on social media and in other media about those who have seen their friendships shattered in this toxic and divisive political climate. I keep reading Facebook posts from individuals who admit to losing friends because of disagreements over policy matters. Man, that kind of news really saddens me! I worked for more than two decades in a region known for its severe rightward tilt. The Texas Panhandle arguably is the birthplace of the modern conservative Republican movement. I lived for that entire time in Randall County, where Democratic elected officials have gone dormant since 1995. I won’t belabor the point that I have many good friends in Amarillo who happen to view the world differently than I do. I’ve said it and I’ll leave it at that. I just wish the current bitterness that infects our atmosphere wasn’t so destructive to so many other people’s relationships. What? No outcry over the national debt? This just in: The U.S. debt has just jumped past the $22 trillion mark, rising more than $2 trillion during the first two years of Donald J. Trump’s administration. I have to ask: Where is the outcry? Why hasn’t the far right raised holy hell about that? Why are acquiring all this additional debt without anyone raising a stink about it? Didn’t the 2012 Republican Party nominee Mitt Romney once chide President Obama at a charity dinner that the event was sponsored by “the letter ‘O’ and the number 16 trillion”? He was referring to the size of the debt during the 2012 presidential campaign. The quip drew lots of laughs — and a few groans. However, the GOP was simply aghast at the national debt back then. This time? Pfftt! Who cares? Oh, I almost forgot! Donald Trump has referred to himself as the “King of Debt.” All hail the king! How do these politicians rise so quickly? Call it one of the great mysteries of American political life. People get elected to a governing body, such as Congress, and some of them — usually just a handful of them — rise immediately to the top of our national attention. They’re everywhere. They emerge from a crowd of 535 individuals serving in the Senate and the House. They can’t find their way to the restroom, but they sure can find a TV camera and the media attach themselves to these individuals, chronicling their every move, every utterance, everything about them. And this is before they actually cast any votes! The Congressional Freshman Class of 2019 is no exception to this rule. 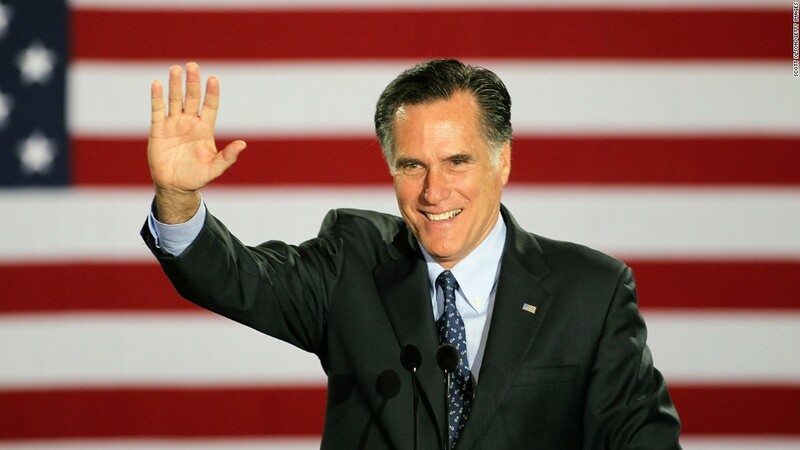 You have the well-known politician, such as Sen. Mitt Romney, the Utah Republican. We all know Mitt. He ran for president and was the GOP nominee in 2012. Mitt took office with an established political profile, lots of name ID. He’s already a heavy hitter. He wrote an op-ed criticizing the president and he made fans among Democrats and a collected a few more critics among Republicans. If he were a no-name, no one would have cared what he said about Donald Trump. Then you have the pol who jumps out of the tall grass and becomes well-known and over-reported for reasons that don’t quite compute. 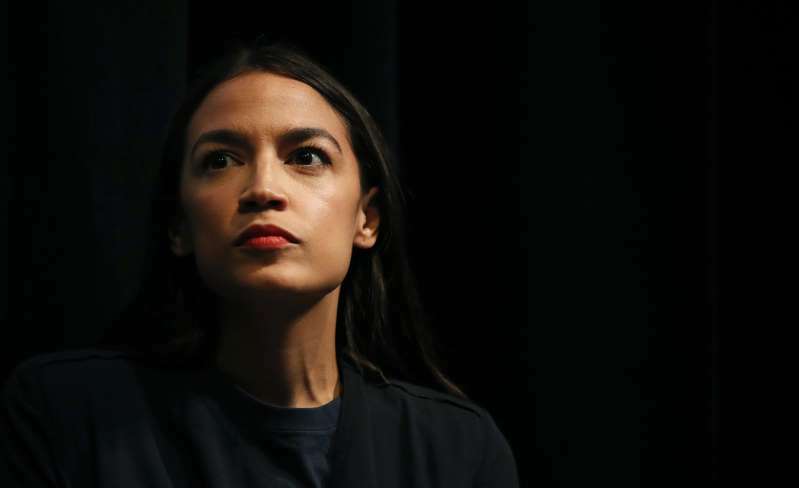 Rep. Alexandria Ocasio-Cortez, the New York Democrat, fits that description. She knocked off an establishment Democrat, Rep. Joe Crowley, in the state primary. Then she breezed to election this past fall. She’s a socialist. She wants to levy huge taxes on rich people. The media report on everything she says and does. She is, to use the phrase, “telegenic,” meaning that she’s attractive. She is young and energetic. She’s been in office for all of three days and she’s already a star. Why? Beats the bejabbers out me, man. Oh, and then you have Rep. Rashida Tlaib, D-Mich., who dropped an f-bomb while saying she wants to impeach the president. She, too, has made a name for herself — already! Enough on her, for now. Texas GOP Sen. Ted Cruz rose quickly to the top of our attention in 2013 when he took office. He took on the posture of an ambitious man who sought higher office. He ran for president in 2016 and was among the last men standing as Donald Trump won the GOP nomination. Again, as with Ocasio-Cortez, I am baffled as to why the Cruz Missile got the publicity he got. But he did. And so the new Congress begins work. It has its returning “legends in their own minds,” and actual legends. It has its share of those who want to become legendary. Some of them will get there eventually. Some even might actually deserve to attain that lofty status. Still, we have that great unexplainable: How do some of these individuals manage to insert themselves into every political conversation before they actually do anything? “Make no mistake. 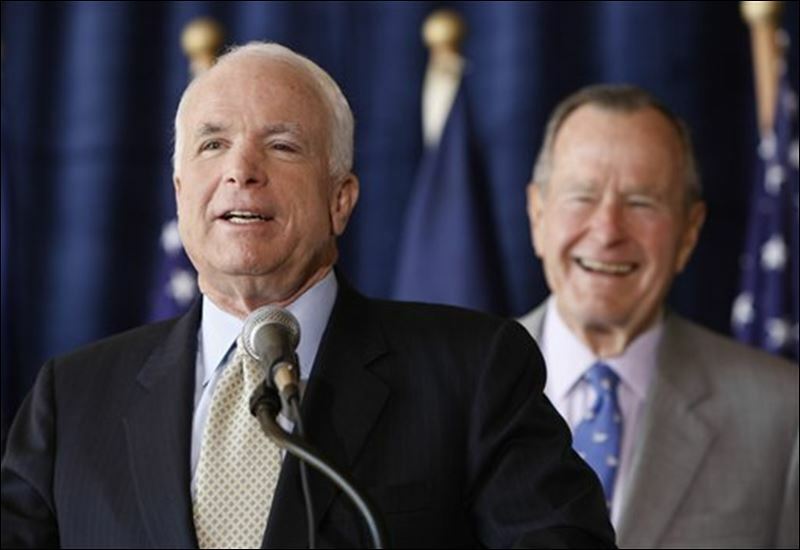 This was calculated political treachery,” Jevon O.A. Williams wrote to other Republican National Committee members in the wake of an op-ed penned by former GOP presidential nominee Mitt Romney. Hmm. Let me think about that one. Actually it isn’t. 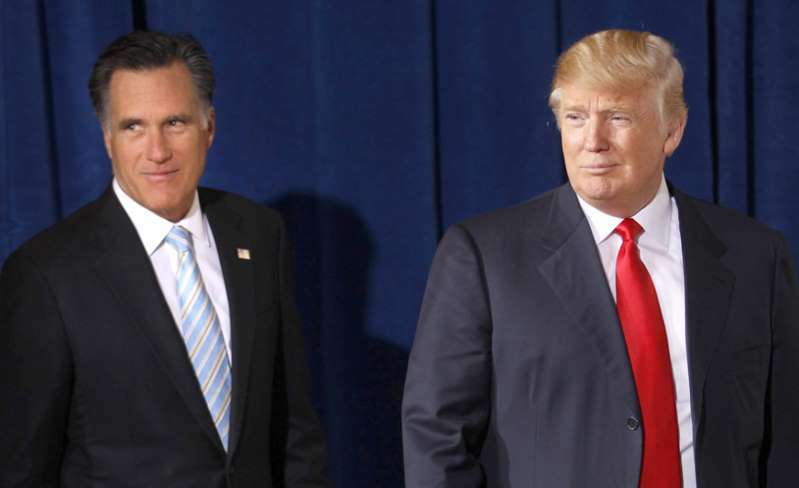 It isn’t treacherous for a serious politician such as Romney to speak candidly and honestly about a president who he believes lacks the essential character to be the kind of leader the nation deserves. That’s what Romney did in his essay published on New Year’s Day by the Washington Post. He spoke truth to power, as the saying goes. Donald Trump wants Romney to be a “team player.” He said today in a bizarre White House press “availability” that he thought Romney would have waited a little longer before launching his attack on the president. In truth, Mitt Romney is more of an actual Republican than the president of the United States. Jevon Williams should reconsider his view of GOP purity. The video attached to this blog post is about 17 minutes long. It’s of Mitt Romney talking ostensibly about the “nominating process” for president of the United States. In fact nearly all of it is a barrage of criticism leveled at Donald J. Trump, who in 2016 was the leading candidate for the Republican Party presidential nomination. Buried deeply inside the middle of the speech is a brief, but equally scathing criticism of Hillary Rodham Clinton, the Democrats’ nominee in 2016. But it’s 2012 GOP presidential nominee’s critique of Trump that got all the headlines when he first delivered it. Seriously, I urge you to take just a few minutes from your busy day and listen to these remarks. They are prescient and, in my view, so very accurate. 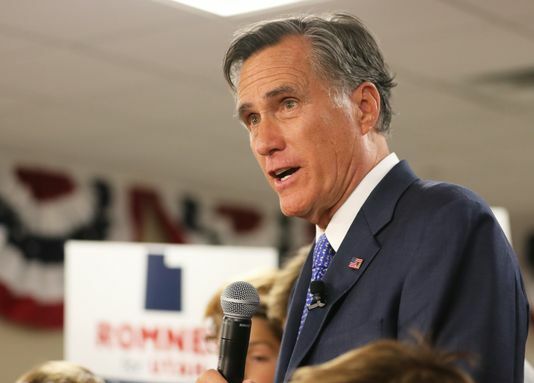 Utah Republican U.S. Sen.-elect Mitt Romney, who takes office later this week, wasted no time in establishing himself as a Donald Trump watchdog on Capitol Hill. I am thrilled to read what the new senator had to say about the president of the United States. I also am delighted to know that he poked the president sufficiently to prompt yet another Twitter response, calling on Mitt to be a “team player” and urged him to concentrate on issues such as, oh, border security. Back to the point of Mitt’s essay published New Year’s Day in the Washington Post. He said Trump has taken the Republican Party to new lows. He questions the president’s principles, his competence, his commitment to the office he occupies. What’s even more fascinating is the Republican Party’s response to Romney’s criticism. A GOP RNC member from the Virgin Islands is pitching an idea to make it more difficult for someone to challenge Trump in the upcoming presidential election. Current rules apparently give a well-funded challenger a relatively clear path to challenging an incumbent president. The RNC member notes that no GOP incumbent who has faced a primary challenge has been returned to office. Two of them come immediately to mind: President Ford in 1976 and President Bush in 1992. Read the Romney essay here. Trump, of course, has pointed out that Romney lost the 2012 election as the GOP nominee to President Obama, while he won in 2016. I’ll just add that Romney faced a more formidable opponent in Obama than Trump did in defeating Hillary Rodham Clinton. But that’s beside the point. The relevant point is that Utah’s new junior senator has presented himself as a serious member of the U.S. Senate, someone who’s been around a while and understands government and the way it works. What’s more, his personal background suggests that he is a credible critic of a president who lacks the “character” we need in our head of state. U.S. Sen.-elect Mitt Romney is filling me with hope that he might become a Republican who actually is willing to challenge the nation’s demonizer in chief. The media, according to Mitt, aren’t the “enemy of the people.” Even a “biased” media, the new senator from Utah writes in an op-ed for USA Today, are essential to the nation. I agree with him. So do all of Donald J. Trump’s predecessors. So should most of the congressional Republicans who will take office in January along with their Democratic colleagues. 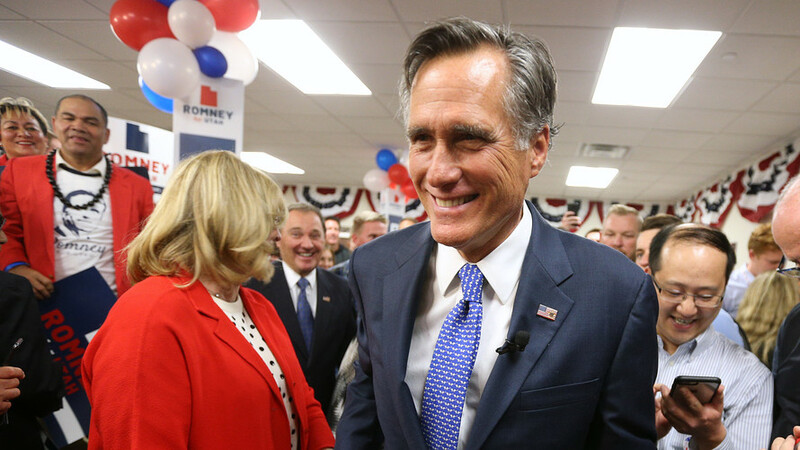 Sen.-elect Romney says categorically that Trump is wrong to vilify the media. He writes: America is indebted as a democratic nation to the free press for truths it has uncovered, for truth it has disseminated, and for falsehoods it has repudiated. The press uncovered the government’s lies about the war in Vietnam; it exposed Watergate; it opened our eyes to the sexual abuse of children by priests; and, most recently, it shed a light on the sexual assault by numerous men in power. The free press dispelled the false conspiracies about the 9/11 attacks, President Obama’s birth, and Joe McCarthy’s lurking communists. The work of a free press is essential. The president doesn’t see it that way. He says the media that report on issues he deems critical are disseminating “fake news,” which of course is the ultimate irony given his own lying about so many issues, so many individuals. He has defamed seemingly countless public figures with lies. But I’ll leave it to Mitt Romney and perhaps a few other brave souls in public life to try to hold the president accountable for his continuing attacks on the media. Donald Trump could not be more wrong. Mitt Romney couldn’t be more correct. I will admit it: I like U.S. Sen.-elect Mitt Romney much better now that he’s no longer running for president of the United States against Barack Obama. The Utah Republican has said it is “imperative” that special counsel Robert Mueller’s investigation proceed “unimpeded” toward its conclusion. The message to Donald John Trump? Don’t fire Mueller; don’t order the acting attorney general, Matthew Whitaker, to do it; let the special counsel’s probe into alleged Russian collusion in the 2016 election conclude under its own power. Whitaker is the acting AG, succeeding Jeff Sessions, who Trump fired on Wednesday. Sessions got the boot because he recused himself from “the Russia thing.” Trump wanted the AG to provide cover for him. Sessions refused, citing ethical concerns and the obvious conflict of interest, given that Sessions was a player in the Trump campaign and could not investigate himself. Whitaker is a known partisan. He has criticized the Mueller probe, calling it a “witch hunt.” Not too prejudicial, eh? He was right then. He is correct now that he’s calling on the president to keep his hands off the Mueller probe.